Berlin-based independent curator. 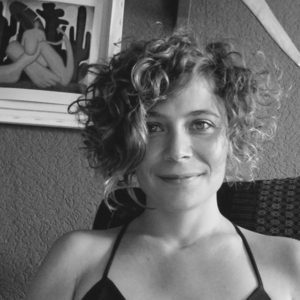 With a background in art history, she researches on the collective context in which art is produced and mediated, with a special focus on self-organization and cooperative culture, departing from the Arendtian notion of “the common interest” (Welt-Bezug). Her practice develops co-creation formats in a collaborative and networked environment in Berlin and abroad, via archival research projects, residency programs and learning platforms open to the participation of artists and communities. Licenciatura en Historia del Arte (Universidad Complutense de Madrid, 2005/2011; Freie Universität Berlin, 2009/2010). · Curator and coordinator of AFFECT: Agora’s Program for Collaborative Artistic Practices in Berlin (since 2014). IV Edition: Micro-Utopias: Cartographies of Relational Art in Berlin (Agora Collective, Summer 2018). · Curator of “Pflegeanweisungen: The Art of Living Together” (Exhibition at Galerie Wedding, Berlin 2015). · Editor and coordinator of: “If you would be on an island… Laboratorio Artístico de San Agustín: 10 Years of Contextual Art in Cuba” (Museo Nacional de Bellas Artes de Cuba, XVIII Biennial of Havanna, 2019).